Come Together features the latest and trendiest apparel, shoes and accessories for men and women. Our inventory includes, but not limited to, funky sneakers, high-heels, stiletteos, wedges, booties, boots, sandles, prom sandles, kids shoes, flats, rain boots, etc. 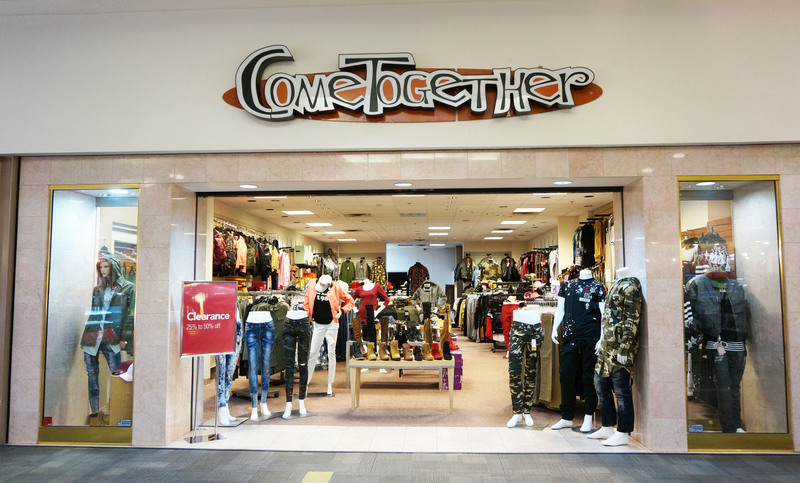 Come Together also carries trendy purses, denim jogger pants, camouflage, pants and jackets, fleece leggings, jeggings, graphic t-shirts and more. What's best is that we offer all these styles at everyday low prices and a very friendly service. Located in the Sears Wing.